Today we’re launching a new version of Panopticlick, an EFF site which audits your browser privacy protection. 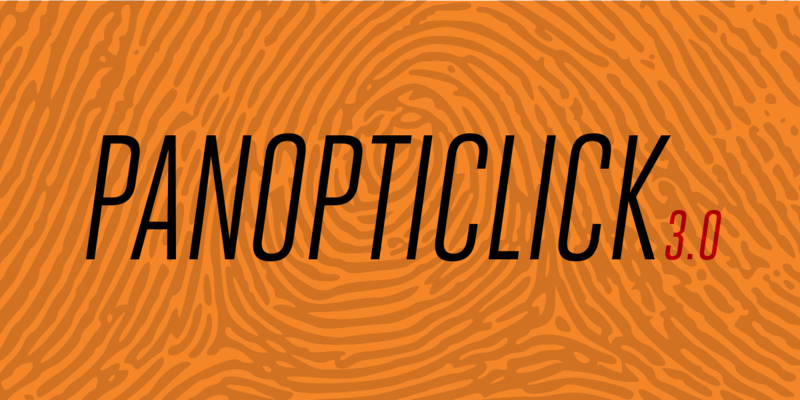 Conceived to raise awareness about the threat of device fingerprinting, Panopticlick was extended in December 2015 to check for protection against tracking by ads and invisible beacons. This new update adds a test for trackers whitelisted by the so-called "Acceptable Ads" initiative. Acceptable Ads is a program involving the popular adblockers Adblock Plus and Adblock, whereby companies can have their ads deemed "acceptable" if they meet certain format criteria. These ads are then unblocked and any company operating above a certain threshold must agree to pay Eyeo, the owner of Adblock Plus, a fee of 30% of the resulting revenue from the ads for administering the process. This revenue is divided between the participating ad blockers. By default, Panopticlick will now check browsers for trackers from the Acceptable Ads list by testing against a real tracker. If the browser fails, that tracker will receive some information about the user, but this minimal leakage is necessary to diagnose the problem. If you are uncomfortable with this, it is possible to opt out of the test. If Panopticlick detects inadequate protection, the user is linked to instructions to disable Acceptable Ads and fix their configuration. Acceptable Ads is a whitelist of "non-intrusive" ads that meet requirements relating to format, size and placement on the page. The process has been operated on a for-profit basis since late 2011 by Eyeo. Large advertising companies like Amazon, Criteo, and Google make significant payments to this program, though the exact amounts are not public. Acceptable Ads serves an important policy purpose by identifying types of ads that are not visually intrusive. However, the payments that Eyeo demands for listings, and the fact that Eyeo has implemented Acceptable Ads in such a way that it silently overrides users' privacy settings, are huge problems. Many users install blockers not just to block obtrusive advertising but also for privacy and security reasons. Unlike tracker blockers (like Brave, Disconnect, Privacy Badger, or uBlock Origin), ad blockers offer only limited privacy protection by default. This functionality is easily extended through the addition of filters such as EasyPrivacy, a blacklist of invisible trackers. But since the launch of the Acceptable Ads Initiative in late 2011, the Acceptable Ads whitelist has been turned on by default for Adblock Plus users, as it has been for Adblock users since late 2015. The Acceptable Ads whitelist allows numerous tracking domains. Content blockers like Adblock Plus and Adblock function based on both whitelists and blacklists. When there is a conflict, the whitelist wins. This means that even though EasyPrivacy is intentionally installed and Acceptable Ads is enabled by default, whitelisted domains will not be blocked from tracking the user. With more than 10,000 domains on the Acceptable Ads whitelist, that’s a lot of tracking. EasyPrivacy's protection is only effective if users disable the default Acceptable Ads whitelist, but the blockers offer no warning regarding the incompatibility of the two lists. This is despite the fact that tracker blocking was offered by ABP as an explicit option during installation until recently, and Adblock offers EasyPrivacy in the list of filters available for activation in its user settings. Because the Acceptable Ads whitelist is enabled by default, some EasyPrivacy users are likely unaware that Acceptable Ads is even enabled, never mind undermining their preferences. As a consequence, we believe millions of users have been unwittingly exposed to tracking. Part of the solution is better user interface design and clear information, that clearly outlines the different configuration options to users during installation. Better still, clients could offer a one-click option to enable meaningful privacy protection as part of the installation process, where most users are most likely to choose it. Otherwise, we know that only a minority of users change the default configuration of their software. Regardless of what options are available, the default options are key to how any software will be used in the wild. Manipulating defaults and interface design to influence user actions is a practice referred to as "dark patterns". An explanation for such behavior is close at hand: every user who opts out of Acceptable Ads represents a loss of income for the companies involved, which are simultaneously ad blockers and brokers of their users’ eyeballs. Earlier this year, Eyeo handed over control of the criteria for Acceptable Ads to an independent committee, though Eyeo remains in control of the business. In principle, this committee could serve the important public function of setting standards for visual unobtrusiveness, privacy-friendliness, and other types of good practice for online and mobile ads. 2 It could also be an important forum to encourage advertisers to switch to privacy-positive technologies compliant with the Do Not Track policy. But the manner in which Acceptable Ads has operated reveals a conflict between the interests of the companies participating in the Acceptable Ads program and those of their users. To resolve this, the issues we identify above must be fixed quickly and comprehensively. A good place to start would be to disable Acceptable Ads for all existing users of EasyPrivacy, delivering them the privacy they seek. Defenders of Acceptable Ads have argued that its rationale is to protect the user experience while allowing publishers to sustain themselves through advertising. This is a vital discussion and one in which EFF is keen to participate. Adblock Plus is free to try to persuade the public of the social value of Acceptable Ads for supporting publishers, but it must do so in the context of clear and non-confusing user interface choices for their users and resist the temptation to overrule clear user decisions. In the meantime, users who want to protect their privacy should either follow our configuration instructions or consider switching to more robust tracker blocking tools. 1. ABP on Firefox's new settings offers the option of enabling both 'Acceptable Ads' and 'Only allow ads without third-party tracking'. Their FAQ explains that this means ads which either comply with DNT or are served by the site being visited itself. 2. A full discussion of the policy problems that could reasonably be addressed by standards and blocking/unblocking mechanisms in the online advertising space is beyond the scope of this post. However it certainly includes privacy (which EFF has worked on with our Do Not Track standard); visual intrusiveness (which is what Acceptable Ads was designed to address); protection against malvertising (the OTA Alliance has done excellent work on this problem; and landing page quality (which is an issue that Google itself measures with algorithms).